FORS is pleased to announce that the FORS Fleet Management System (FORS FMS) Mobile app is now available for iOS and Android compatible devices. 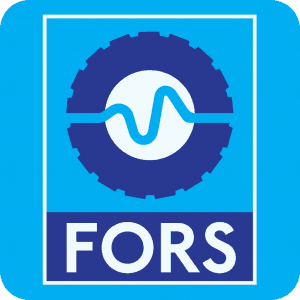 The new FORS FMS Mobile app, which is free to all FORS FMS paying subscribers, is designed to help streamline vehicle inspection processes, allowing drivers to directly submit a range of data, input fuel purchases and report incidents. The FORS FMS Mobile app, which is provided by FORS Affinity Partner FleetCheck, has the same functionality both in iOS and Android systems, helping FORS members to demonstrate compliance with FORS Bronze, Silver and Gold requirements as set out in the FORS Standard. Drivers can use the app to submit daily walk around check information instantly to their fleet department. The app eliminates paper-based checks, instead providing fleets with a robust audit trail of the complete inspection process, including automated inspection scheduling, instant visibility of missed inspections, and bespoke inspection routines for specialist equipment. The FORS FMS Mobile app includes a daily vehicle walk around checklist which helps members meet requirement ‘V2 Daily walk around checks’ of the FORS Standard version 5. The FORS FMS Mobile app also allows drivers to submit fit-to-drive declarations, upload photographic evidence of any vehicle damage and defects, report incidents and record fuel purchases. Drivers can upload tyre tread and depth information, and collect mileage figures for accurate service, maintenance, and repair schedule management.